Well, at least my body recovers. The mind was otherwise. Unfortunately ! But yeah, that’s part of the circle. 😛 I had a mind-torchering psychwar especially after Ironman. Starting from the pre-Ironman numbness to the post-Ironman blues to the _ _ _ _ _ _ _ . It’s not a battle per se, just a test ground and trial (trying to be optimistic here) . It caught me off guard though! But hey, I’m still alive. What doesn’t kill me make me stronger ! I totally agree with you Azmar, thanks! And to Goh, Stupe, Steve, Shahrol, TSB, AJ, Ayu ,Jessica, Huda,Ish and all of you who supported me with the needed moral boost and spirit, from the bottom of my heart, I wanna Thank You all. and alhamdulillah I’m more ‘calm’ now..huhuh…. Other than that I’ve been engaging on my free weight routine (lately), but not daily, just 2-3 times a week. Some core training, skipping, as well as stretching. Physio rehab guy said my hamstring so stiff.. and my calf too, were stiff, especially after Ironman.. so, sttrrrreettcchhh !!!!!!! That was about it. No real training after Ironman, for a month..that’s why I call it ”total rest”! Some friends like Azmar, Steve and a few others have been hitting the road like a week after Ironman. Wow ! I TLC my body !!! Hats off to those who manage to recover, rest and start training again in prep for Kenyir Triathlon and Singapore 70.3. Suet Fong ,Jason Thiang, Kam, Abu and Ariff went to Kenyir.I’m not exactly sure who went to Singapore, except for Emma Bishop. 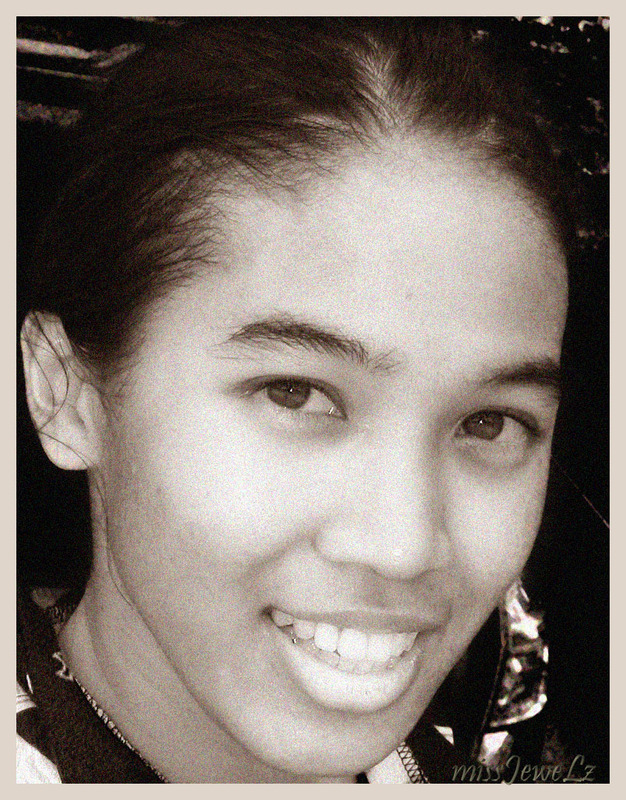 She went to both Singapore and Kenyir. Hats off ! And she got stung by jelly fish too! (emma, i just realized u also got stung in Langkawi!…). I had a VERY near ‘encounter’ with a nice looking sea jelly ! LUCKY me it didnt bother to say Hi! to me on the 28th Feb by raising its tentacles to say ‘Hi Julie…’ hahaha.. .. My abs was like an inch or two from the jellyfish body! Anyways, I’ll save the rest of the story for my Ironman race report which has YET to be written !! arrghhh…. 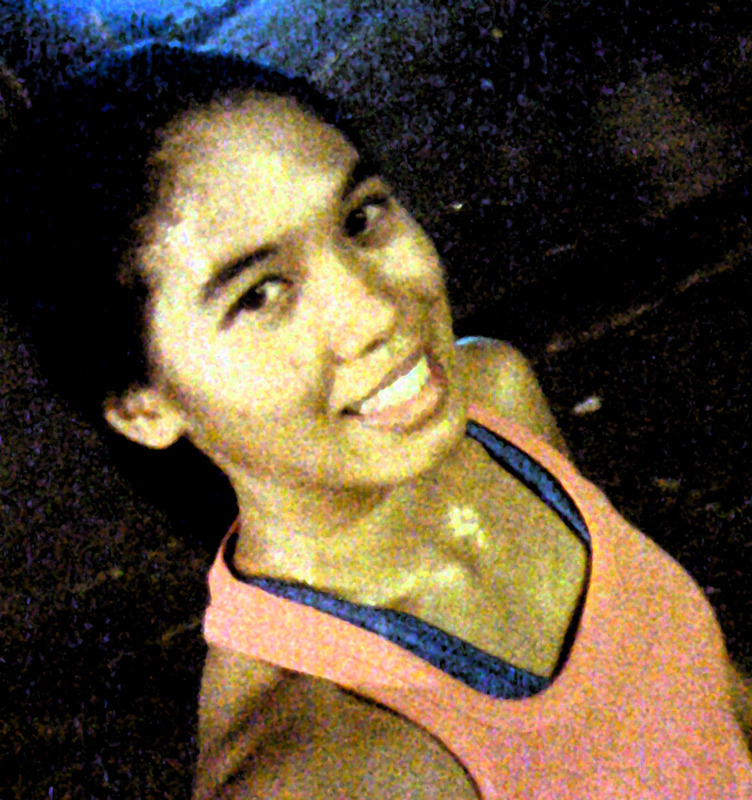 So, yesterday I FINALLY did a come back run with a couple of friends.Yes, after 1 month tak lari okay ! No joke !! I told them ‘5k only ok.’ , and on top of that ‘we’ll go very slow ‘ ! I think we ended up doing nearly 7k end finishing less than 50 minutes. Not slow enough ! anyways, i went very slow.. . picked d pace up a bit somewhere after halfway point before turning back. And sped the last 200-300m with small quick steps. The grasses on the side of the walk/run path were very useful.. ran on them a bit , and practise some off trail running ! I told myself (and my friends) ‘..this is for XTerra!! ‘. after my 1st run since Ironman ! Delighted and happy to finally get the real SWEAT out of d system! 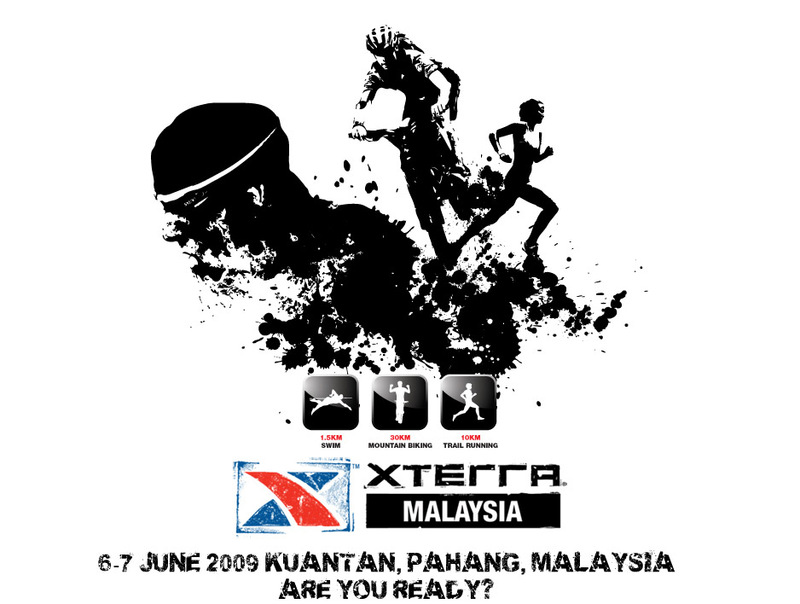 Xterra the Malaysia edition will be happening on the 6-7th June 2009. Where? I’m so proud to share this with u… its happening at my hometown @ kampung, in Kuantan ! Yes, Kuantan, Pahang Darul Makmur. If you have been following my blog updates, you might have noticed how excited I can be whenever I write and upload my pics and stories about my latest Kuantan outing ! err…what’s XTerra ? XTerra is basically off-road triathlon. 🙂 meaning swim, then mountain bike on off -road trail, followed by off-road/trail running ! According to the organizer, registration for XTerra Malaysia will be closed after they receive the 800th entry ! So, hurry on, go register ! I understand there will be 2 categories ; individual as well as relay. For more info,please click here. Now I’m gearing up for my exams. Yeah… first paper happening this Sunday. And another 3 for the next 2 weeks. My Gunung Nuang trip will be on the 18th April, so feel free to join me and some friends.WALKing up only.no running, at least for me. huhuh…click on events for more details, or scroll down to check out the post on the invitation. Next big race? 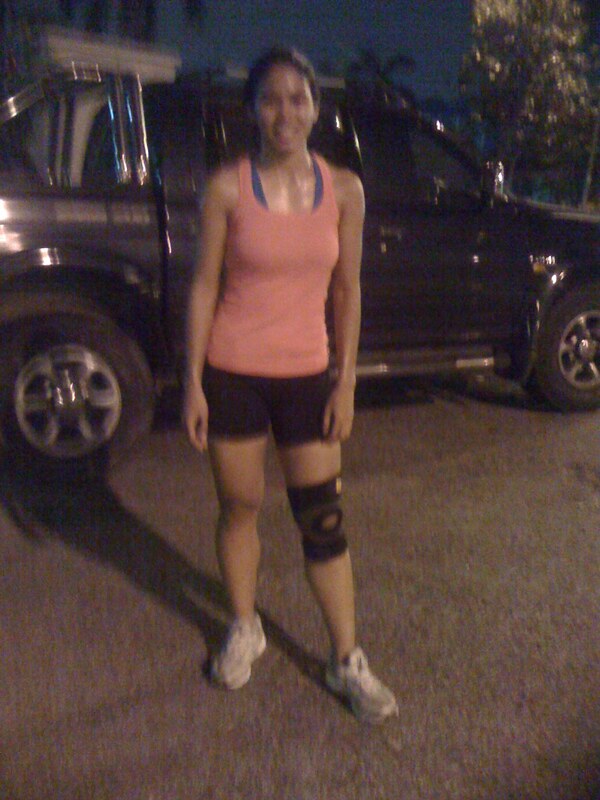 It has to be XTerra…hahaha.. i like to try new things.. ! I mean, why not ? Oh ya, not forgetting New Balance 15k run on the 17th May ! By the way, Pacesetters are looking for volunteers to help out for 2 running events; the Orange Run as well as the NB15k run! The Club will be involved in the coming Orange Run on 12th April 2009 as Technical Support and we will be manning the route and timing for the top finishers. As such, we are looking for volunteers as road marshal and timers at the finishing point. If you are interested or keen to join in the event atmosphere, please email or sms to our Exco, Ms Tan Pek Moi (contact as below) giving your contact number and the duty you would like to be involved in. As the event is round the corner, would greatly appreciate if you can respond latest by 29th March 2009 to Miss Tan Pek Moi . We are targeting 2,500 runners this year and since this is a Club’s event, we need your assistance in all expects of the smooth running of the event on the race day, 17th May 2009, ie road marshal, water stations, food tent, medal distribution and finishing point. Kindly revert to M/s Tan Pek Moi by 3rd May 2009 . Whether you’re a MTB enthusiast or roadie or run-only kind, I don’t think worrying if there are enough races for this season should be the top of your worries ! There will be plenty of races for you to register and train for. You can register for as many as you want. I know a few people who does that okay. ALL the road race kena take part. Some friends opt to limit themselves to 10-12 races per year be it triathlon, duathlon or running. While some only go for races to enjoy ! So whatever it is, just make sure you have some time off for yourself, your family, your work, your..ermm..study, your loved ones…aa… sukan , riadah, yes healthy and very much encouraged, especially when you’re in that warm up process to get multisports as part of your lifestyle. And guys, (and gals), make sure you have enough recovery in between races. Don’t lanyak !! Pacesetters Subang Orchids : me and my team mates. p.s. 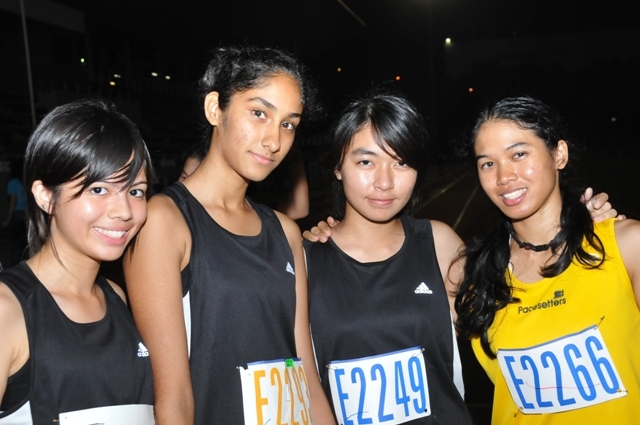 : they were all in form 4,5 .. a good 10-11 years younger than me... ! Btw, if you could get your hands on Shape Magazine, April issue, Azura Zainal on the cover..look up page 54..huhuh.. Mariana Mohammad (national duathlete) and I , Nor Juliana Ali (the 1derer) was interviewed by the magazine.hahaa.. funny picture of me in there as well ! I will try to get all the forms for the above mentioned races. Do drop by these links to check out for some info youself . Congrats on both the IM as well as getting back to running in an appropriate time. I am just now getting back out of my post-IM blues almost 12 months later. Hi Stephen ! Thanks for dropping by ! yes, in time for my come back and ‘pre-prep’ for my upcoming races ! 12 months ?! wow !! What did u do in such a big gap? Anyway, I went to ur blog ! Looks exciting ! Do drop by again ok? take care n have a nice day. fong : ok nnt i scan..hahahah..
Hello, dear colleagues. It was pleasant to me a forum missjewelz.wordpress.com very much class and is stylishly made! It seems to me at a forum there is no section clever councils.